Mini Get Away - COMMUNITY NAVIGATORS INC.
As the holidays approach and the busy holiday season begins. Community Navigators is having a Holiday Getaway! 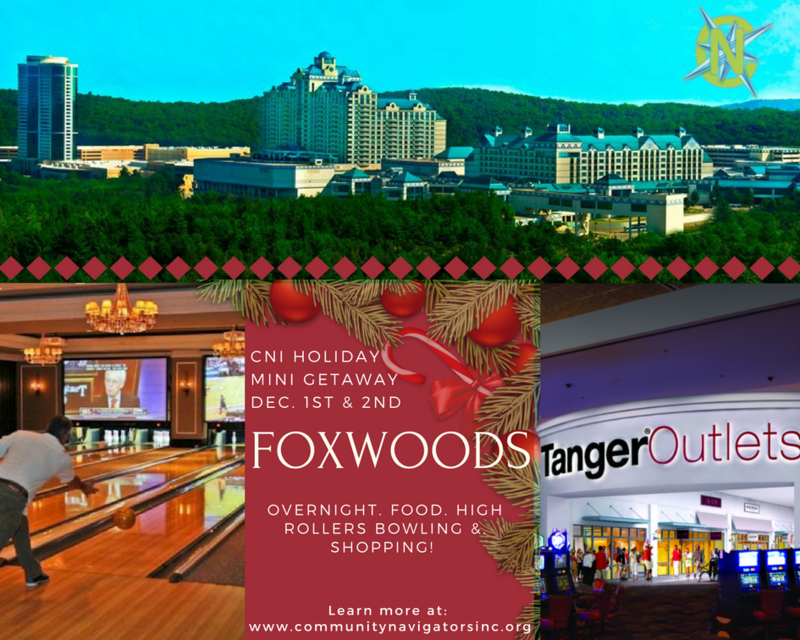 Join us for a one night getaway at a local hotel near Foxwoods, High rollers bowling at Foxwoods, shopping at Foxwoods Tanger Outlets and of course festive FOOD! Holiday Mini Getaway includes: High Rollers Bowling, pre-planned dinner at the casino, and Comfortable Hotel Stay, and breakfast If time allows bring your bathing suit! 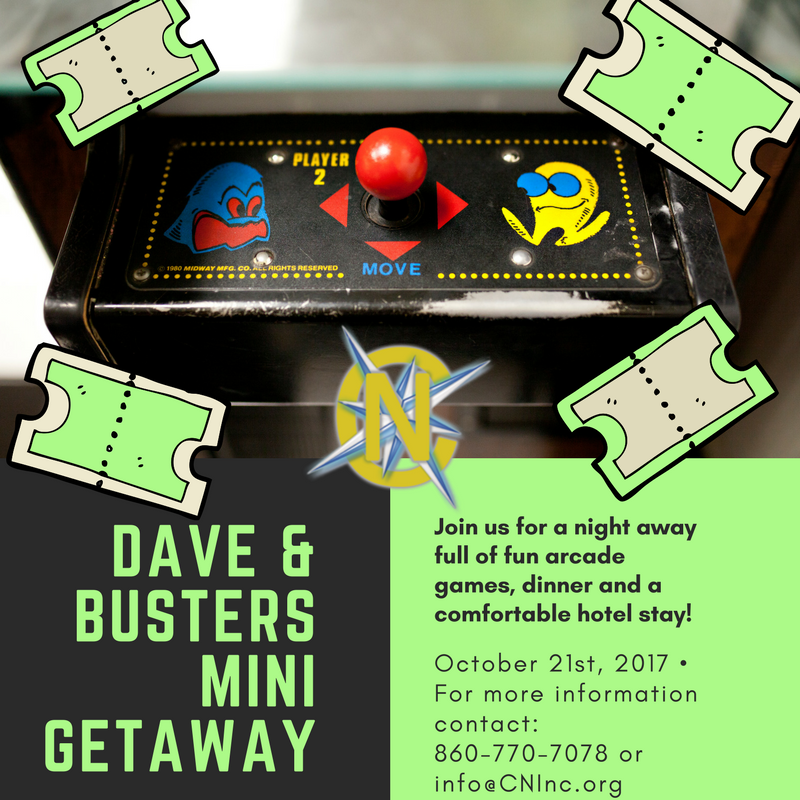 Join us for a night away full of fun arcade games, dinner and a comfortable hotel stay! Dave & Busters Mini Getaway includes: Dinner, Games, Comfortable Hotel Stay, and Breakfast Cooking Activities. If time allows bring your bathing suit! Participants are encouraged to bring spending money for additional personal needs. (ex. souvenirs, snacks, additional gaming coins...).